Make way for more digital creators on your TV sets! There's a crazy buzz in the air today based on the fact that the new Top Gear presenters have been announced. 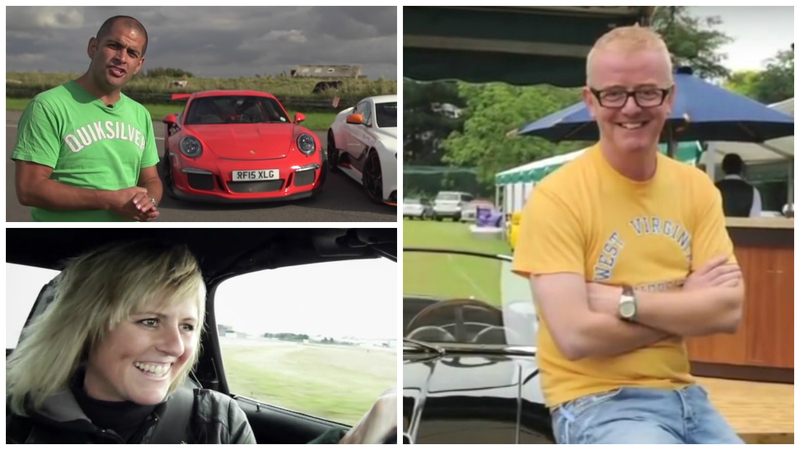 Not only is there the first female presenter in 15 years lined up to co-host the prestigious car show, but also car journalist and petrol head Chris Harris... oh yeah, he's a YouTuber as well! After excitement (and confusion) earlier this month when none other than ex-Friends actor Matt LeBlanc was announced as one of the new presenters, we thought we'd reached peak hype for the show. But, after seeing the news today we were clearly very wrong as Chris Harris and his new role are sure to spark up some eager views when the show kicks off on Sunday the 8th of May this year. Chris, a print journalist for Autocar before he turned his talent to YouTube videos, was thrilled to be a part of the show, “Top Gear is the thing that helped shape my life with cars, my perception of cars and my obsession with cars, and I’m raring to give it a go." As well as being a part of one of the most successful TV shows in British history, it's rumoured that Chris is actually co-hosting the show with the German racing pro Sabine Schmitz and beloved radio presenter Chris Evans. If you don't believe that, then here's a fun fact about Chris Harris for you: he's banned from driving Ferrari's and reviewing Lamborghini's after writing an article called 'Lamborghini's Are The Perfect Cars For People Who Can't Drive' as well as slating the company's PR strategy. We're very excited to see Top Gear grace our screens again in 2016, along with a very large percentage of the population. However we're more keen to see how another YouTuber plans to nail the transition from internet to TV with this fantastic opportunity!